Ah, the mystery, the allure, the exclusivity of Disney’s Club 33! Walt Disney’s private club hidden inside the New Orleans area of Disneyland. It’s only mark on the outside is a simple 33 posted on the door near the exit of Pirates of the Caribbean. There are many stories about the who, what, when, where and why’s behind Walt’s creation of Club 33. It is a legendary place among Disney fans and it is rare to get the opportunity to visit. The general consensus is that Club 33 was opened by Walt as a place to entertain the original 33 investors of Disneyland. However, it says on the menus that is named simply because of its address. Believe what you will. It is the only place within the main (old) park that serves alcohol to this day. It is said the wait list for membership is about 15 years long. The fee’s are quite steep. Most families that I know who have had the chance to visit work for one of the companies that have a corporate membership. 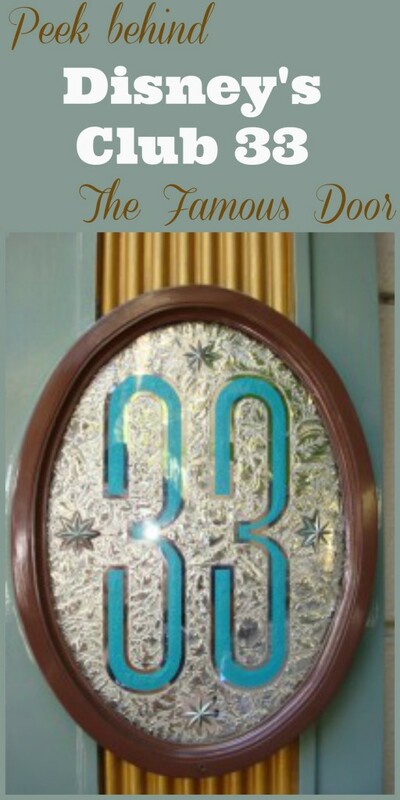 So, what is a visit to Club 33 really like and what is the hype all about? You start your day by going to guest services outside of the park. You pick up day passes for your family to the park. These don’t have your name on it and since we had park hopper tickets that came with our package, we walked up to a family that was in line to give them away. If I had known they wouldn’t have our names on them I would have totally had my friend Laura come visit. The attendant at the ticket area saw me trying to give the tickets away and told me “you can’t sell tickets” and I told him I was “not selling, just giving them away”. He said “well, you can’t do that either”. How disappointing! Bob went the other way and found a family. They were so surprised and it made us feel wonderful to be able to give another family a Disney gift. So, you have a reservation for Club33 that is a specific time. DO NOT attempt to get in 5 mins early. Trust me. I know. I was informed of this by the lady inside. There is a little speak easy type box inside the door frame of 33. You push it and tell them your name. Just don’t do it before your appointed time or you will get swallowed up by a big rabbit hole that transports you to Small World and makes you ride it over and over again. If you don’t fall down the rabbit hole the lady lets you in. You have the choice to go up to this lift that they make a big deal about. It was pretty. I am not really into stuff like that. But if you are, they say this is an amazing example. If you are in a wheelchair you get to go in a special entrance. You get the privilege of going through the Cafe kitchen across the way. You get to experience all the sights, sounds and smells of the dishwashing area of a cafeteria. Needless to say, I think access for wheelchair users needs to be improved. Anywho, once your family gets to the second floor you are seated. We went for a late lunch. They ask you to order the entree and you get to go to the buffet for both appetizers and dessert. With the exception of the crab, shrimp and rock lobster tails all the food on the buffet we had already seen at the Paradise Pier concierge room. It is the same stuff. At first we were all really nervous because you hear so much about how fabulous this place is. I warned the kids not to breathe wrong! Being nervous was unnecessary though. Our waitress was very sweet and very accommodating. She saw that I didn’t eat the monk fish I ordered and offered me something else. I asked for the same truffle mac and cheese the kids had. It was yummy. I don’t know why I didn’t like the meal. There was nothing wrong with it. I just did not like it. Bob and ordered a bottle of wine. I LOVED the balcony. It was the best part. It was a beautiful day and the views are really pretty from out there through the trees. 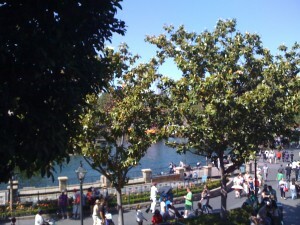 It was a very relaxing oasis on a crazy Saturday at Disneyland. Your bill has to be equal to what the tickets for the day would have cost you. So it is a pretty pricey meal ~ $404 for our family to be exact. There is a small cabinet that sells souvenirs. Apparently the merchandise in the cabinet changes frequently. It is stuff like golf shirts, pens and rings. We didn’t get anything but now I kind of regret that. You leave the sanctuary of Disney’s Club 33 and join the masses. The craziness is a little disorienting (or was that the wine?) of becoming one of the ‘regular people’ visiting Disney that day. I was really glad we finally went. We have talked about going since the kids were little and we knew we had the option. But I am really glad we waited til the boys were older and had more experience eating in ‘fancier’ restaurants. I don’t think the food was any more impressive than your run of the mill upscale restaurant. There are a ton of antiques that were completely lost on the boys. If we could just order a bottle of wine and sit out on the patio I would consider going back but barring that I doubt we would. It is nice to say you have been but not necessarily something you need to do twice. I am totally there! We can bring the other bloggers around us and make a party out of it. Anyone else in for wine on the patio near the Southlands? Sometimes a mama needs a drink at Disney… for that alone it sounds FABULOUS! ………Can you get me in?? I have never heard of 33- but now that I have- it will be on my list of once in a lifetime must do's! 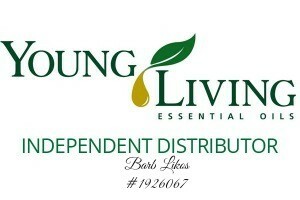 Thanks so much for the fun pics! The boys will always remember this trip and the fabulous club'33' AND SOMEDAY THEIR CHILDERN WILL ASK TO GO AND THEY CAN SAY 'sure' love you and thanks for the trip. WoW now I totally want to get a hat that says 33 on it – sounds awesome! I can only hope to put that on my once in a lifetime lists…My recent post Celebrate Father’s day with Big City Moms and DaDa Rocks! Win a family pass!